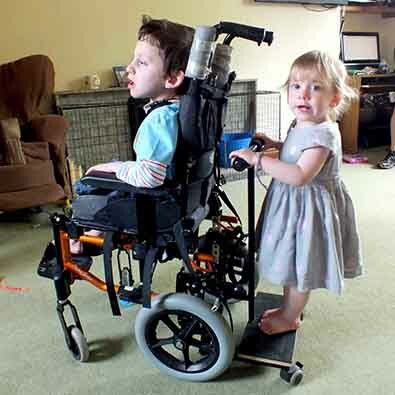 Elliott needs to use a wheelchair but his little sister struggles to keep up when their mum takes them out. One of our ever popular buggy boards proved just the ticket. Chelsea now gets to ride around with Elliott when they head out together as a family.